When transporting precious beverages or non hazardous liquids, the global beverage and liquid industry has come to rely on the comprehensive logistics services of the Flexibulk Logistics Pty Ltd. 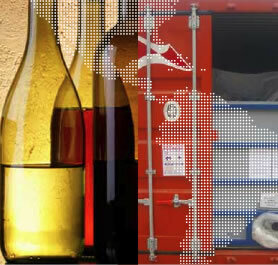 Eliminating uncertainties along every step of the wine and liquid supply chain, we take care of every detail – from installing and loading to transportation and unloading. Flexibulk Logistics Pty Ltd has been dedicated to the efficient and cost-effective logistics of non-hazardous industrial and food grade liquids. With a dedicated team of specialists in Australia and New Zealand and partners in more than 44 countries world- wide, we put that experience to work for our clients, by taking care of the smooth flow of beverages and liquids day after day.